The ship arrived in Southampton on Sunday morning. From there we took a taxi to the train station, then a bus (yes) to another train station, then a train to Brighton, another train to the Gatwick airport, a flight to Malaga, and finally a bus to our hotel. Mirje's family is on vacation here for this week, and we are joining them. Not for a vacation though. Welcome to our weekly recap! This one's for May 1st-7th, which is week 18, 2014. 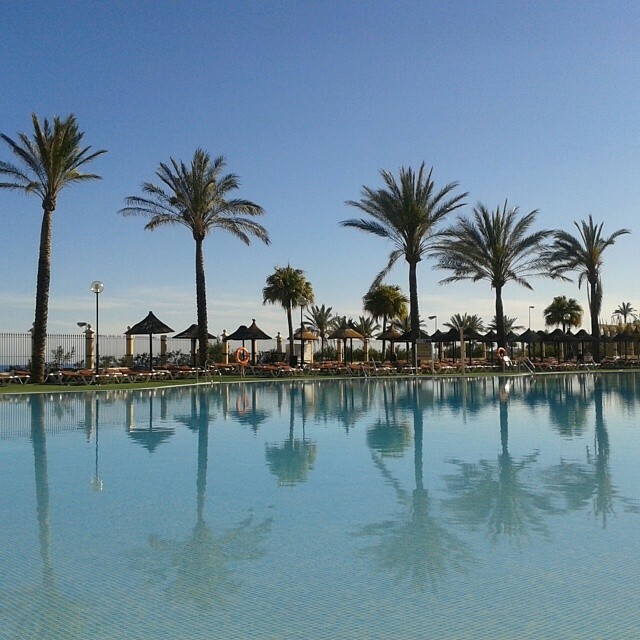 Surprise of the week: I'd heard that there are many Finns living at Costa del Sol, but I didn't really understand how many until I came here. I don't actually think I've seen shops with Finnish names and signs anywhere outside of Finland before. Even the mobile phone operator whose 3G sim card we bought has customer service in Finnish. Workwise: We are getting so much experience using travel related websites, that we've been thinking whether we should focus our consulting work to the travel industry and help small businesses there to succeed online. What did I learn: Finnish people, including me, often mix up the words he and she in English language, because we don't make that distinction in our own language. This week I came across another one: the future tense. There is no such thing in Finnish. We use the present tense even if we talk about the future. Tomorrow I study English grammar. Food love: When it comes to food and service, we were spoiled on the cruise. I would probably be a lot happier here if it wasn't so easy to compare to those two weeks at the sea. But even if the food at our hotel is not five-star fantastic, there are exceptions, such as the excellent manchego cheese, wrapped in prosciutto ham and dipped into olive oil. Tip of the week: Do you ever choose a wine because it's the second least expensive one offered? A wine producer at the cruise told us that so many people do it, that many restaurants nowadays have the biggest margins on exactly those wines. So, the cheapest one might well be better value for your money. Random thought: Since the theme today seems to be Finland, let's have one more. I had a few polar bear discussions on the cruise. I haven't had those for a long time. It's a standard discussion that sometimes happens when people learn where I'm from. It goes more or less like this: ...What about polar bears? Do you have those in Finland? - No, they live somewhere, um, more north. - Oh, ok. Well, then I guess you don't have penguins either? - No we don't. That's actually a South Pole thing. - Right, right. Well, it was nice talking to you! Most memorable moment: The person sitting next to me on the plane was a twenty-something man who made me very feel uncomfortable from the beginning. He acted nervously and seemed to be stressing a lot about the whole flight. He was angry at the waiters and the screaming kids, cursing a lot. Who does he think he is? Maybe he is a drug addict who needs a fix? At some point, when he got up and went to the bathroom, his girlfriend turned to me apologetically. She told me that he doesn't mean to be rude, he just had a head injury that makes him act that way. My view of him changed instantly. 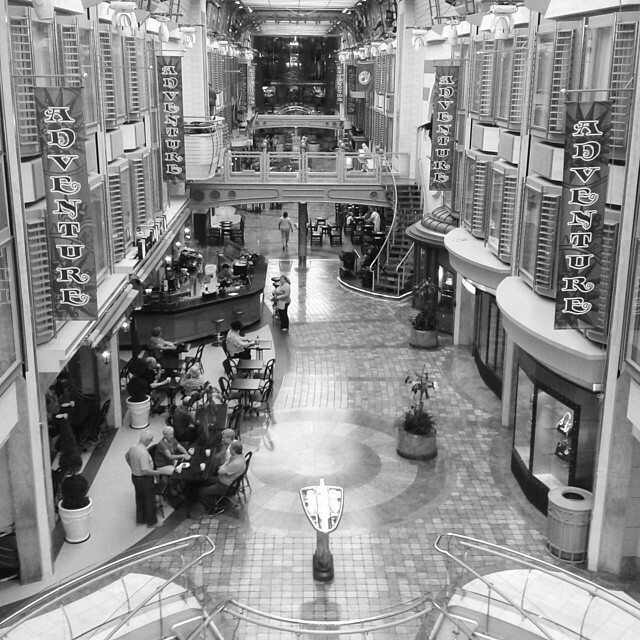 There was a promenade in the middle of the ship, with a cafe, a pub and some shops. In the middle of the ocean there was nothing to be seen for days. 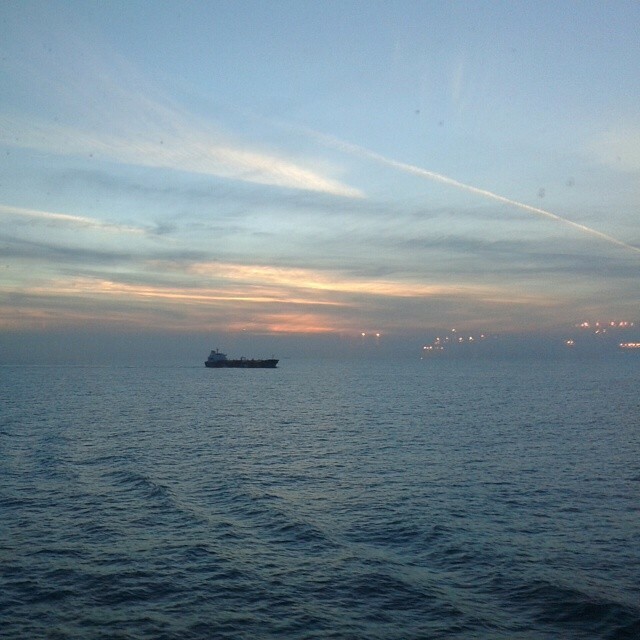 Other ships were usually a sign of shore somewhere near. 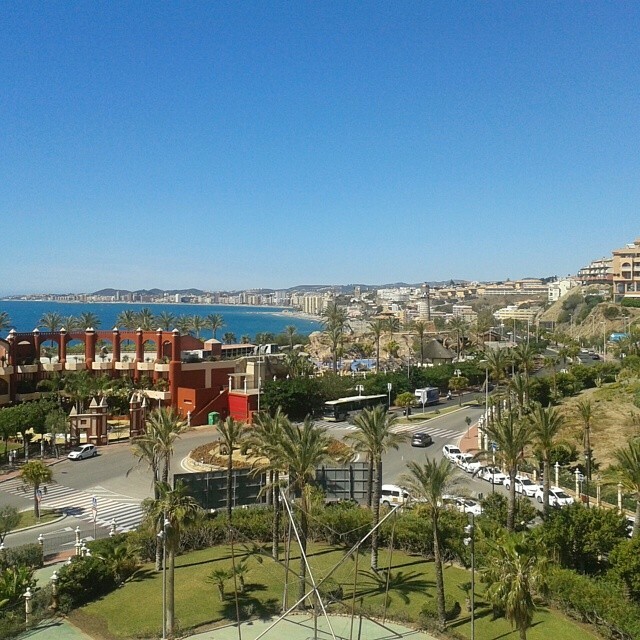 Today is our third day in Benalmadena at Costa del Sol. I haven't even dipped my toe to the pool yet. We were lucky to get one of the best rooms in the hotel. Which is nice, because we probably spend more time in our room than any other hotel guest here.